Any structure member which cross section is much smaller compare to its length and undergoes lateral load, known as beam. 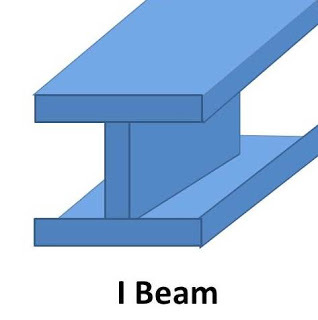 In other words beam is a horizontal bar witch undergoes lateral load or couple which tends to bend it or a horizontal bar undergoes bending stress known as beam. According to its requirement, different beams use in differentconditions like fix beam, cantilever beam etc. Beams are classified as follow. As the name implies, simply supported beam is supported at both end. 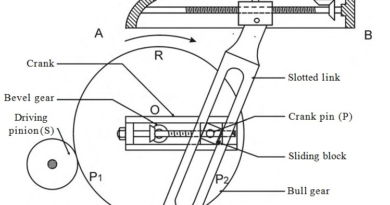 One end of the beam is supported by hinge support and other one by roller support. This support allow to horizontal movement of beam. It beam type undergoes both shear stress and bending moment. When we talk about types of beams we cannot forgot continuous beam. This beam is similar to simply supported beam except more than two support are used on it. One end of it is supported by hinged support and other one is roller support. One or more supports are use between these beams. It is used in long concrete bridges where length of bridge is too large. A beam may have different cross section. The most common cross section of beam are as follow. It has T cross section as shown in figure. If the beam cannot be analysis by using basic equilibrium condition, known as statically indeterminate beam. The end reaction find out by using basic equilibrium condition with combination of other conditions like strain energy method, virtual work method etc. 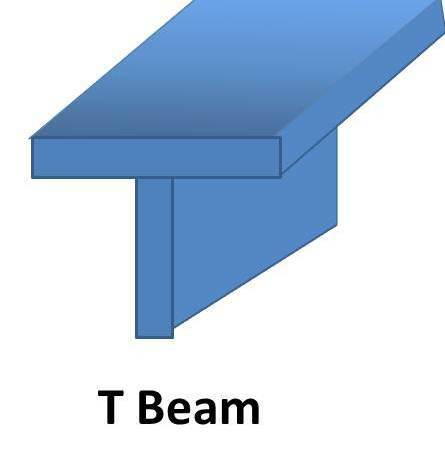 Today we have discussed article What is Beam and types of beams. If you have any query regarding this article ask by commenting below. If you like this article, don’t forget to share it on social networks. Subscribe our website for more informative articles. Thanks for reading it. Please, what are the types of beams? I'm aware that beams are classified based on: geometry, support, equilibrium conditions and cross section. Kindly help me list the types, please. I’m a civil eng’g student. This is of much help, thanks! I worked as a beam line cnc operator for 5 yrs. what you are calling an “I” beam was known to me as a “w” beam. What gives? ?